I came across an article last week that caught my interest. It was Harry Whitehouse’s article about the US Postal Service. Harry notes that when there’s a discussion about shipping carriers, it’s usually about UPS and FedEx. The USPS is invariably left out. But the US Postal Service delivered 524 million packages in December, compared to 585 million delivered by the UPS and 290 million delivered by FedEx. Whitehouse notes that 28 million packages were delivered by the USPS on just one day alone, December 22. What many journalists miss is that the shipping world is not what it was five years ago — back when most had written off the Post Office as a bureaucratic dinosaur. Since then, the USPS has done quite a bit to turn things around. It developed a strategy to reduce its dependence on the First Class letter, and increase small package delivery. The USPS has updated its technology so that it works with scanners and barcodes, provides package tracking online, improved delivery performance and updated its package insurance. It’s done this to keep up with the demands of online retailers like Amazon. But the big news is, while FedEx and UPS have been steadily increasing their prices, and adding surcharges for fuel, residential deliveries and dimensional packages, the USPS has trimmed rates and emerged as the best economic option. For example, say you’d like to ship a 10 lb package from Boston to St Louis. With FedEx 2Day, that will be $46.71. With UPS Ground, that will be $22.05, for a 3 day delivery. Or put your items in a USPS Priority Mail Regional A box (supplied free) and pay the Postal Service $7.55, for a 2-3 day delivery. There was a time when a FedEx envelope was affordable. Now a 2 lb FedEx Pak via 2Day service can set you back $20.80 – $35.37, depending on distance. Compare that to a USPS Priority Mail flat rate envelope, delivered to most US addresses in 2-3 days, costs just $5.75. 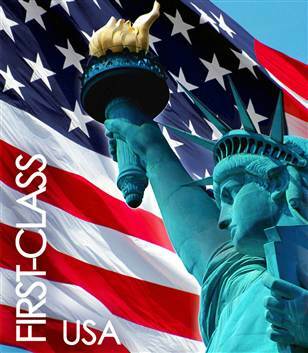 Need a package to go from one coast to the other? UPS and FedEx Ground will take 5-6 days. USPS Priority Mail will take 2-3 days, and probably cost much less. It’s no wonder that the USPS saw an 18% jump in its December 2014 deliveries from the year before. Just when everyone thought that USPS was down for the count, it has done exactly what it needed to do: reinvent itself and disrupt the entire shipping industry in the process. Sure, there’s a lot more for it to do, but the USPS is proving that its up to the challenge. Can FedEx and UPS play catch up? Can they wean themselves off of their pricing models and face their investors? That would be a challenge. But then again, there’s no better motivator then self-preservation. Just ask the Postal Service. Privatizing the Post Office: the Right Solution? There have been plenty of ideas bandied about on how to solve the financial problems at the US Postal Service. 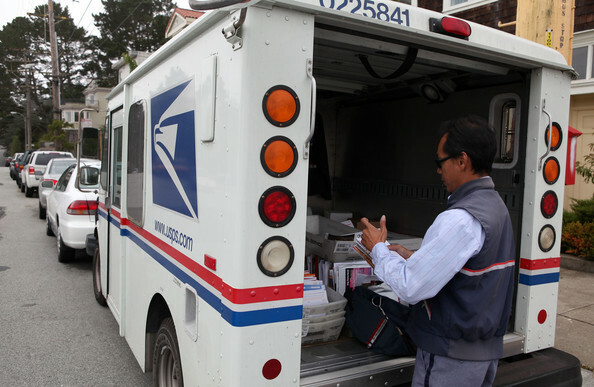 Recently, a Bloomberg article from ex-OMB director Peter Orszag (now a vice chairman at Citigroup), suggests that the USPS should go private. His strongest argument is, by privatizing the Post Office, we remove Congress from the equation. He notes that Congress is unable to manage the USPS since it doesn’t allow USPS managers to make the cuts and raise revenue needed to fix problems. His argument is compelling, but it’s not necessarily the best answer. First of all, the Post Office is a service required by the US Constitution. Try making the USPS private, and you’ll need to deal with Article 1, Section 8. Second, the privatization idea has been used before. It’s been offered as a panacea for everything from schools, to prisons, to highways. But the results are mixed; privatization doesn’t guarantee a better result. The privatization idea is a red-herring. It’s simply taking us out of one pot of hot water, and putting us into another. We’ve written about USPS problems in previous posts. An enormous issue, which Orszag did not discuss, is the multi-billion dollar ‘pre-funding’ imposed on the USPS by Congress. Developing a more equitable way for the USPS to save for future expenses would solve most of its financial problems. The true problem isn’t with the Postal Service. It’s the way we’ve set up Washington. We’ve set up a system that runs on 100% politics and 0% policy. We allow our federal budgets to be run like shell games — spending future money, papering over current shortages. We have a system designed to protect itself, rather than provide any responsible governance. The problem isn’t how to fix the USPS. It’s how to fix Washington. It’s surprising to see all the ‘news analysis’ that spotlights similarities between the financial troubles of the USPS and the US Government as a whole. The trouble is that most of the analogies just aren’t true. Yes, it may be true that the US Government does spend more than it receives, has not really made significant cuts to its large workforce, and hasn’t made full use of technology to drive down costs. But none of those things are true about the US Postal Service. As discussed in more detail in a previous post, the financial problems of the USPS are tied to a Congressional mandate that requires the USPS to pre-fund its healthcare insurance for future retirees at a draconian rate amounting to $5.5 billion per year. Why all the misinformation? By mis-stating that the USPS has more expenses than revenues, the analyst is trying to make an argument that the USPS is bloated or defunct, and needs cuts or face bankruptcy. But when all the facts are presented, it becomes clear that the problem can be solved by addressing the Congressional mandate. By ignoring this fact, the analyst draws us to the wrong conclusion. And deprives us — leaders and voters — of the information that we need to guide us to the right solution. From my brief look around, I’ve come up with four common arguments that ‘analysts’ make about the USPS financial problems where they conveniently leave out the facts about the Congressional mandate. The motives for leaving it out could be expedience or ignorance; although, as you might sense in the last argument, politics could also play a role. The Federal Times article above is a good example of ‘news analysis’ that uses the “USPS/US-Govt” analogy but mis-states the facts along the way. Not only does it not mention the Congressional mandate, it is plain wrong about USPS technology development and workforce trends. Fact is the USPS is a leader in updating its facilities with computers and automation; and it has been steadily downsizing its workforce for years. The Yahoo article also glosses over the facts to make its point (‘alas, tech beats the USPS’). Yes, we now communicate electronically and this has impacted USPS revenue. But the USPS has addressed those issues by driving down its costs proportionally. The missed fact is the Congressional mandate, and that $5.5 billion item makes all the difference. Even the venerable Washington Post published this article that neglected to mention the Congressional mandate. Instead, it painted USPS financial woes based on unyielding labor unions. Unfortunately, even Congress is providing us with misinformation on their Saving the Postal Service website. Some in Congress have failed to admit that the Congressional mandate was misguided. In fact, they’ve taken the position that reworking the mandate would be akin to a government bailout. Restructuring the Congressional $5.5 billion per year mandate is the responsible thing to do. Calling the mandate a ‘bailout’ is simply a way to create excitement and get voters to look your way. It’s doubly pernicious when Congress itself is a big source of the problem. Yes, the USPS is confronting a bunch of challenges. Revenue has dropped and so, expenses need to continue to drop as well. But we as American citizens, or at least as USPS customers, need to understand the facts before we develop our opinions. When we get our facts from biased sources, we’ll probably arrive at biased solutions that don’t solve our problems, and are more likely to make things worse. There are undoubtedly some tough conversations ahead as we American citizens write our country’s next chapters. We need to become very good at understanding the big picture so that we aren’t easily misinformed, and misdirected, by those with a narrow interest. 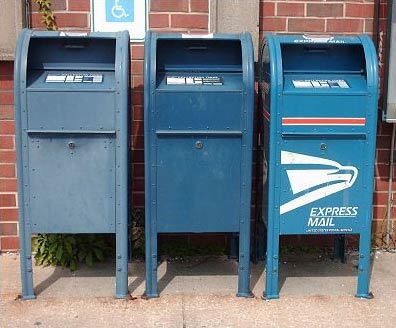 Misinformation is a problem for the USPS simply because it could lead to a bad solution. At a time when we Americans can’t afford any more of those.